ICRISAT worked with to further test and implement the technology across Africa. Testing of microdosing technology was moved on-farm for the first time. This was through the FAO project, Intrant. 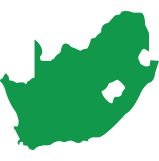 The Warrantage system is based on the establishment of farmer-based cooperatives or producers’ associations and village savings-credit associations which provide farmer’s access to microcredit. Though 2000 was a drought year, microdosing enabled farmers to obtain reasonably good yields and make a profit, while the crops of neighboring farmers using traditional methods failed. 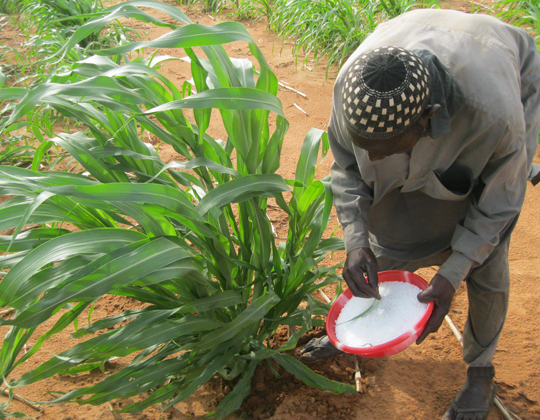 Mr Seydou Boubacar, a 39-year-old-farmer from Bokki, a village 60 kms to the south of Niamey, practices the microdosing technique on his farm. At first, in 2002, he experimented with this technique on a 0.5 ha patch with millet, and got a yield of 570 kg. 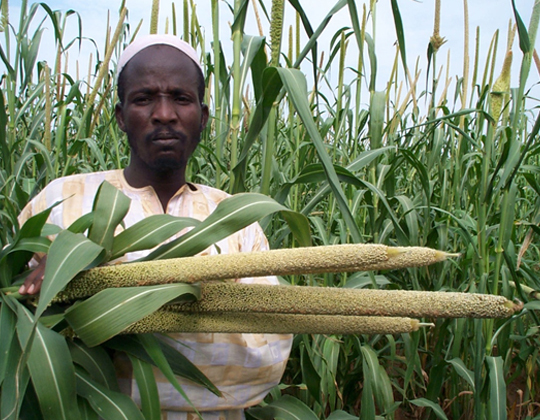 Previously he had grown millet on 1.5 ha and got just 450 kg. This astonishing increase on just one-third the land speaks volumes! Wide scale testing of the microdosing (17 kg Nitrogen ha-1) concept initiated across multiple locations in southern Zimbabwe through relief and recovery programs. Scaling out of microdosing and Warrantage through Conseil Ouest et Centre Africain pour la Recherche et le Développement Agricoles / West and Central African Council for Agricultural Research and Development (CORAF/WECARD) Funded by: African Development Bank (AfDB) in Also scaled out fother in Mali, Niger, Senegal and Burkina Faso. 26% of farmers practised microdosing in 4 regions. 1. Partners foster fertilizer use-Multi-institution partnerships are a key element of ICRISAT’s R4D strategy. Such partnerships were partly succesful in Zimbabwe in terms of availability of small fertilizer packs. Scaling out and improvement effort of the microdosing technology through International Development Research Centre/Agricultural Cooperative Development International (IDRC/ACDI) project on microdosing and water harvesting in Niger, Burkina Faso, Mali, and Benin. This simple technology is renewing farmers’ interest in exploring new options for technological change. Bationo A, Lompo F, and Koala S. 1998a. Research on nutrient flows and balances in West Africa: state-of-the art. Agric. Ecosyst. Environ. 71:19-35. Hove L, Mashingaidze N,Twomlow S, Nyathi P, Moyo M, Mupangwa W and Masvaya E. (2008). Micro Doses, Mega Benefits Promoting Fertilizer Use in Semi-Arid Zimbabwe A manual for extension staff. International Crops Research Institute for the Semi-Arid Tropics. 23 pp. Payne WA, Wendt CW and Lascano RJ. 1990. 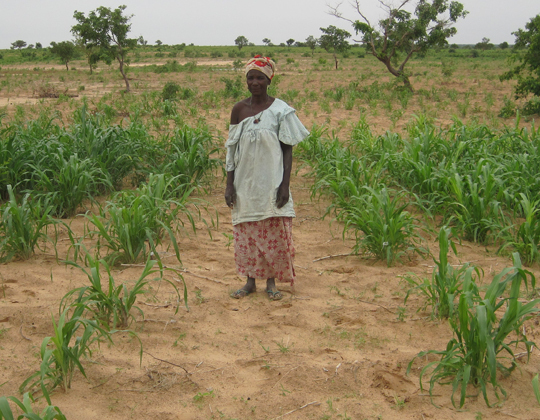 Root zone water balances of three low-input millet fields in Niger, West Africa. Agron. Jour. 82:813-819. Tabo R, Bationo A, Gerard B, Ndjeunga J, Marchal D, Amadou B, Annou G, Sogodogo D, Taonda J.B.S., Hassane O., Maimouna K. Diallo and Koala, S. 2007. Improving cereal productivity and farmers’ income using a strategic application of fertilizers in West Africa. Pages 201-208 in Advances in integrated soil fertility management in Sub-Saharan Africa: Challenges and opportunities (Bationo A, Waswa B, Kihara J and Kimetu J. eds.). Tabo R, Bationo A, Diallo Maimouna K, Hassane O and Koala S. 2005. 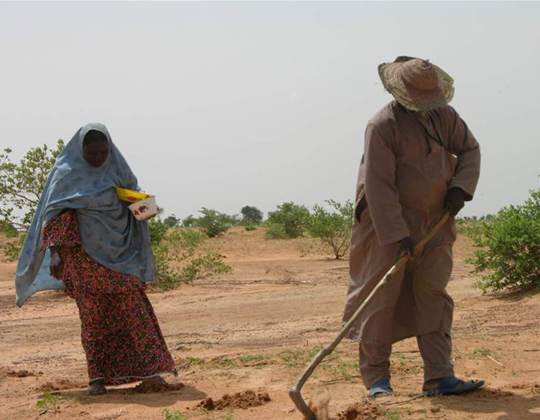 Fertilizer microdosing for the prosperity of small-scale farmers in the Sahel: Final report. 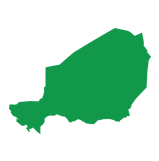 PO Box 12404, Niamey, Niger: International Crops Research Institute for the Semi-Arid Tropics. 28 pp. Tabo R, Konlambigue AM and Maatman A. 2005. USAID TARGET project on fertilizer microdosing for the prosperity of small-scale farmers in the Sahel: Training workshop on large-scale transfer (scaling-up) of fertilizer microdosing technology. 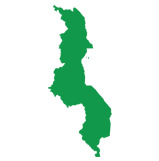 Ouahigouya, Burkina Faso and Niamey, Niger: International Crops Research Institute for the Semi-Arid Tropics. 28 pp. Bationo A, Ndjeunga J, Bielders C, Prabhakar VR, Buerkert A, and Koala S. 1998b. 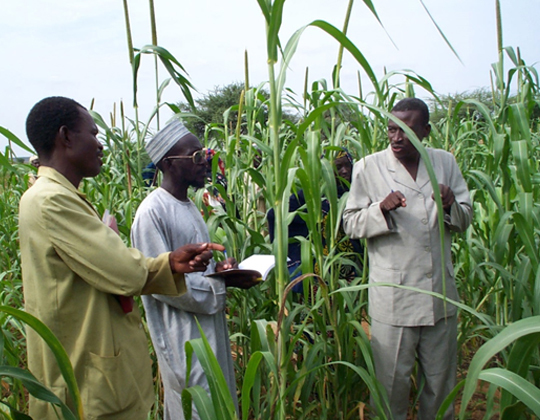 Soil fertility restoration options to enhance pearl millet productivity on sandy Sahelian soils in south-west Niger. Pages 93-104 in Proceedings of an International Workshop on the Evaluation of Technical and Institutional Options for Small Farmers in West Africa (Lawrence P, Renard G, von Oppen M. eds.). University of Hohenheim, Stuttgart: Margraf Verlag, Weikersheim. Land degradation is particularly acute in sub-Saharan African regions where long-term overuse of soil, non-use of adequate amount of organic and inorganic fertilizers and low, unpredictable rainfall are prime reasons for poor food production. The farmers are so poor that they take everything they can out of the soil and are not willing to invest in fertilizer because the growing season is very risky. The failure to replenish the soil fuels an unrelenting, vicious cycle. Unless nutrients are replaced, soils are depleted and yields and crop quality decline, leading to widespread hunger and under nutrition. Land degradation affects more than half of Africa, leading to estimated losses of $42 billion in income and 5 million hectares of productive land each year. 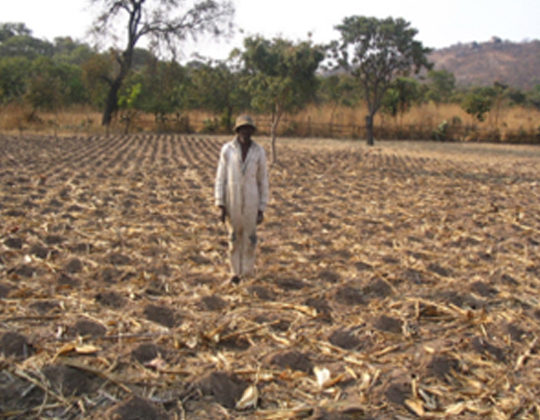 Crop yields are low as a result of poor farming techniques, nutrient deficiency and lack of water, particularly in sub-Saharan Africa. Farmers are unable to invest in fertilizer, triggering a cycle of soil nutrient depletion, low productivity and hunger. Unable to feed their families, farmers abandon unproductive land to clear forests and plow new areas. Clearing new lands for farming accounts for an estimated 70% of the deforestation in sub-Saharan Africa. Microdosing involves the application of small, affordable quantities of inorganic fertilizer with the seed at planting time, or as a top dressing three to four weeks after emergence. This enhances fertilizer efficiency compared to spreading fertilizer over the field. Farmers who use microdosing apply 2–6 gram doses – about a full bottle cap or a three-finger pinch – of compound fertilizer (diammonium phosphate (DAP) or NPK) in the hole where the seed is placed at the time of planting. 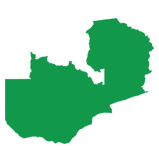 This is equivalent to about 20–60 kg of fertilizer per hectare of land. This technique uses only about one tenth of the amount typically used on wheat, and one twentieth of that used on maize in the USA. Yet in sub-Saharan Africa, crops are so starved of nutrients such as phosphorous, potassium and nitrogen that even this micro amount often doubles crop yields. Where soil is hard, farmers may dig small holes or planting basins (known as zaï in West Africa) before the rains start and fill them with manure, if available. When the rains begin, they put fertilizer and seeds in the hole and the soil provides a moist environment encouraging root growth. Water is captured instead of running off the hard-crusted soil. By correcting soil deficiencies for essential nutrients with tiny doses of fertilizer, root systems develop and capture more water, increasing yields and ensuring plants are less prone to drought. ICRISAT and its partners are testing two market development strategies to address capital constraints. Poor farmers often encounter difficulties storing their grain, transporting it to market and satisfying their financial needs at harvest time. They are forced to sell to middle agents immediately post-harvest when supply is abundant and prices are low. Farmers are caught in a vicious circle as they are under pressure from merchants to repay loans taken to eke out a living during the hardship period between May and July, and to invest in their farms. In West Africa, the ‘warrantage’ or inventory credit approach is a welcome solution to farmers’ capital constraints. Farmers place part of their harvest in a local storehouse in return for inventory credit. This allows them to meet pressing post-harvest expenses and engage in dry season income generating activities, such as sheep fattening, vegetable cultivation using small scale (drip) irrigation, groundnut oil extraction and small trading. The stored grain may be sold later in the year at a much higher price, when farmers can make a good profit. Moreover, this cooperative approach trains farmers to work together to protect stored grains from insects and also helps them to buy fertilizer in bulk and repackage it in smaller, more affordable units through local input stores. 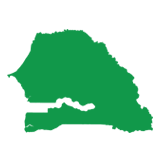 Hundreds of farmer organizations in the region now use the warrantage system, which links them directly not only to markets but also to financial institutions. Fertilizer microdosing can contribute to ending widespread hunger in drought-prone areas of Africa. 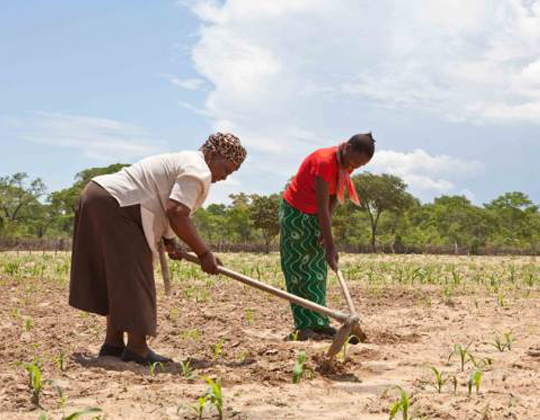 It has reintroduced fertilizer use in Zimbabwe, Mozambique and South Africa. In West Africa, as a result of previous ICRISAT projects, some 25,000 smallholder farmers in Mali, Burkina Faso and Niger have learned the technique and experienced increases in sorghum and millet yields of 44 to 120%, along with an increase in their family incomes of 50 to 130%. 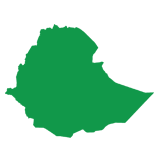 A regional project of the Alliance for a Green Revolution in Africa (AGRA) is targeting 360,000 households with the microdosing technology by the end of 2012. 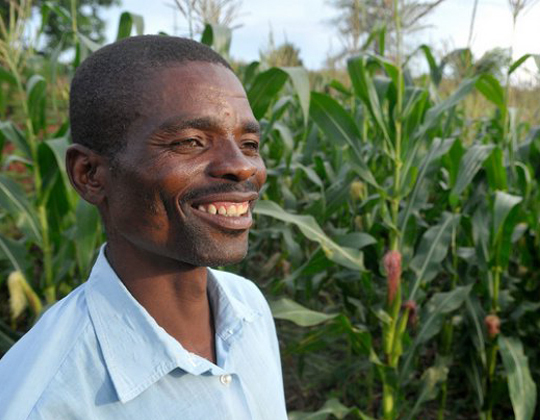 In Zimbabwe, despite poorer than average rains, microdosing increased grain yields, enabling about 170,000 households to increase cereal production by an estimated 40,000 tons. The ICRISAT-supported program significantly improved household food security and saved $7 million in food imports. Many of these farmers became interested in investing their own resources in fertilizer, but access has remained a constraint. The program has started working with fertilizer companies to test strategies for resolving this problem, through improved access to affordable smaller packs of fertilizer. Although results have shown consistent yield increases, farmers have reported that microdosing is time consuming and laborious and that it is difficult to ensure each plant gets the right dose of fertilizer. In an attempt to address these issues, researchers are looking at packaging the correct dose of fertilizer as a tablet that aids application, and this is proving to be popular. In collaboration with partners in national agricultural research systems, ICRISAT is also exploring the use of seed coating and an animal-drawn mechanized planter as other options to further reduce the quantity of fertilizer used, as well as to address the labor constraint. Lack of access to fertilizer and credit, insufficient flows of information, inadequate training for farmers and inappropriate policies have been identified as major constraints to the widespread adoption of the technology in sub-Saharan Africa. Greater adoption of microdosing requires supportive and complementary institutional innovations, as well as input and output market linkages. 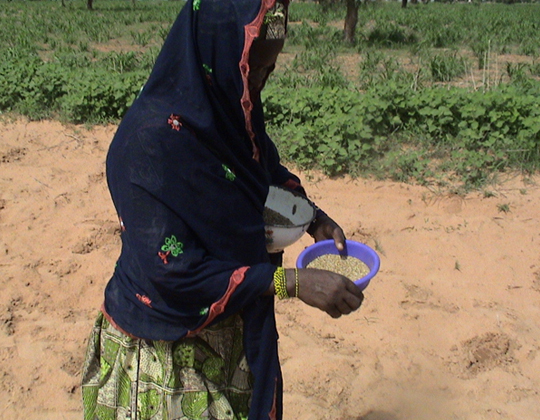 Working with the Food and Agriculture Organization (FAO), local agricultural centers, and a network of international donors and partners – including the West and Central African Council for Agricultural Research and Development, the United States Agency for International Development (USAID) and AGRA – ICRISAT hopes to increase the number of farmers using microdosing and the warrantage system from 25,000 to 500,000 in the next few years. This will go a long way toward alleviating food scarcity and hunger in the semi-arid tropical regions. To address the problem of poor soil fertility, which is a greater constraint to food production than drought across much of sub-Saharan Africa, scientists at ICRISAT have developed a precision-farming technique called ‘Microdosing’. 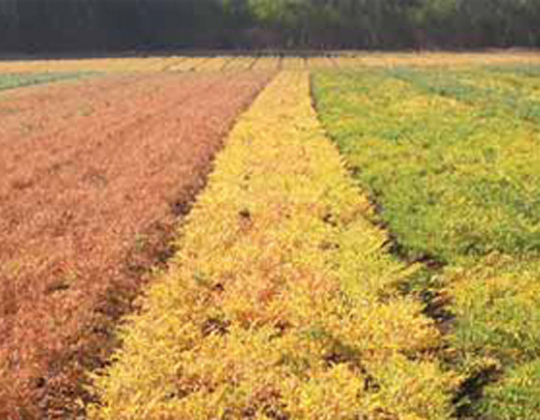 Microdosing involves the application of small, affordable quantities of fertilizer (diammonium phosphate [DAP] or NPK) with the seed at planting time or as top dressing near the base of plants 3 to 4 weeks after emergence. By correcting soil deficiencies for essential nutrients with tiny doses of fertilizer, root systems develop and capture more water at deeper soil depth, increasing yields and ensuring plants are less prone to drought. Strategic application of small doses of fertilizer, instead of broadcasting all over the field means reduced investment cost for the farmer and enhanced nutrient use efficiency, but it is not enough to grow more. Even more important farmers should get the right price for the grain so as to increase their income and improve their livelihoods, rather than selling their grain into a glutted market for low prices at harvest time. In the warrantage system farmers place part of their harvest in a local storehouse in return for inventory credit. 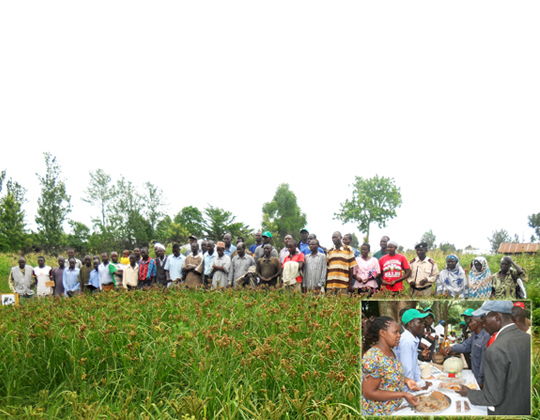 The credit allows them to meet pressing post-harvest expenses and engage in dry season income generation activities. The stored grain may then be sold later in the year at much higher prices, making a better profit for the farmers. In West Africa, the ‘Warrantage’ or inventory credit approach is a welcome solution to farmers’ capital constraints. The promotion of the fertilizer microdosing technology is closely tied to the availability, accessibility of fertilizers, and especially to the financial resources available to the producers for their purchases. Therefore, farmer-based cooperatives or producer associations were established and village savings credit associations promoted in order to provide farmers access to micro-credit. 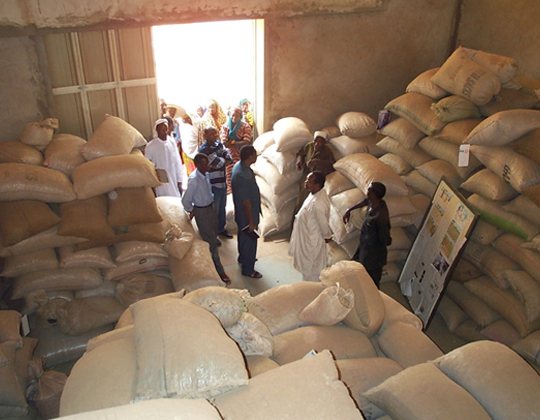 This cooperative approach trains farmers to work together to protect stored grains from insects and also helps them to buy fertilizer in bulk and repackage it in smaller, more affordable units through local input stores. Hundreds of farmer organizations in the region now use the warrantage system, which links them directly not only to markets but also to financial institutions. 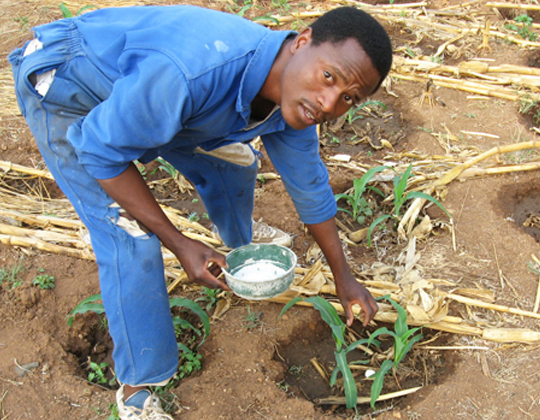 The fertilizer microdosing technique supported by the warrantage credit system, has the potential to end widespread hunger and improve livelihoods of rural populations in drought-prone areas of Africa. 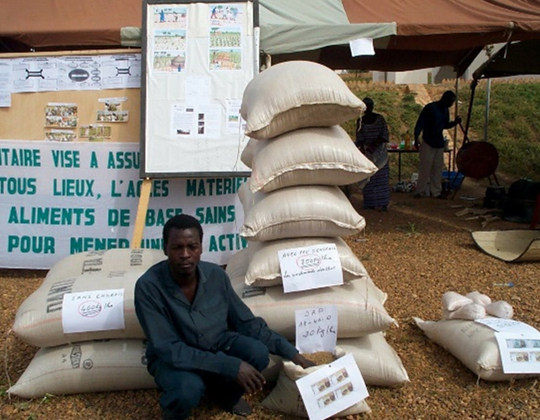 The story of Fertilizer Microdosing in Africa (E-Timeline). 2016. International Crops Research Institute for the Semi-Arid Tropics. Patancheru 502 324, Telangana, India. 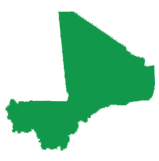 © International Crops Research Institute for the Semi-Arid Tropics (ICRISAT), 2016. All rights reserved. 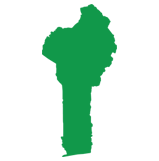 ICRISAT holds the copyright to its publications, but these can be shared and duplicated for non-commercial purposes. 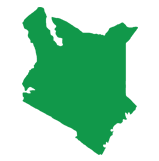 Permission to make digital or hard copies of part(s) or all of any publication for non-commercial use is hereby granted as long as ICRISAT is properly cited. 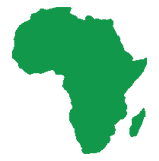 For any clarification, please contact the Director of Communication at icrisat@cgiar.org. 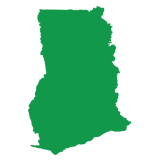 ICRISAT’s name and logo are registered trademarks and may not be used without permission. You may not alter or remove any trademark, copyright or other notice.